Description There are two verses sung by Nammalwar, glorifying this grand shrine to Vaikunthanathar at Sree Vaikuntham which constitutes the first of the nine Nava Tiruppatis in Tirunelveli district in the belt between Tirunelveli and the coastal shrine of Tiruchendur. One of these verses also refers to Tiruppulinkudi and Varagunamangai nearby. Only Nammalwar, who resided at Alwar Tirunagari, has sung of these nine shrines Tiruvaikuntham, Varagunamangai, Pulinkudi, Tolaivillimangalam, Tirukkulandai, Tirukkolur, Tirupperai and Tirukkurugoor collectively referred to as Alwar Navatiruppati. Tolaivillimangalam referred to as Irattai Tirupati, counts as two in the scheme of Nava Tirupatis, but only as one of the 108 Divya Desams. This temple witnessed the battle between the valiant Veerapandya Kattabomman and the British, where the British used this temple as a fortress. Battle marks are seen on the temple's door. Also located in this village is the Kailasanathar temple considered to be one of the Navagraha Stalam temples in the Tirunelveli area, enshrining Saneeswaran, owing to which, this village is also referred to as Tirukkayilayam. Deities: Sree Vaikunthanathan (Kallappiraan) in a standing posture facing east. The image of Vishnu, with Adi Seshan's hood spread over his head, is an imposing one. of Taayaar here is Vaikunthavalli; there is also a shrine to Bhudevi. Legend has it that a local thief, was in the habit of surrendering half of his spoils to the deity here; upon being caught stealing at the local ruler's palace, Vishnu assumed the form of a thief, and preached the truth to the king and revealed his self. 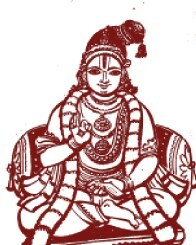 Upon the king's request, Vaikunthanathan, assumed the name Kallappiraan. The temple: This temple has been designed such ahat on the 6th day of Chittirai (Apr 15-May14) and Aippasi (Oct 15-Nov14), the sun's rays illuminate the sanctum. Murals depicting the 108 Sri Vaishnava Divya desam shrines are seen in the temple corridor. The Tiruvenkatamudaiyan mandapam is lined with pillars carrying images of lions, yalis and elephants. . The 110 feet tall 9 tiered Rajagopuram is visible from a distance, across the river and the verdant vegetation here - amidst very lush surroundings. There are shrines to Krishna, Lakshmi Narasimha, Hanuman, Tiruvenkatamudaiyaan.